Loved my stay here. The staff were super friendly and helpful. Location is perfect, close to everything! Definitely recommend and I will be back. 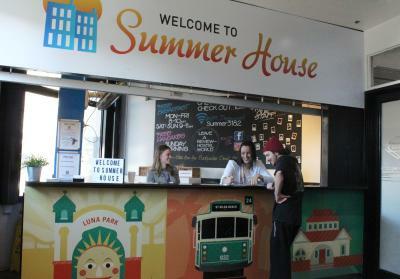 I really enjoyed my stay at Summer House Hostel in Melbourne. The bed was super comfy and the private bathroom was nice and big to use. I loved the big lockers available for us to use. Of course cleanliness of the room is dependent on your roommates, but the carpet looked cleaned and vacuumed. Nice breakfast was served every morning and free pancakes on Sunday! It was a nice, quiet, and good place to relax after traveling through Australia and jumping to different hostels every few weeks. There’s also a nice bar located next to the hostel for some nice drinks in the evening. It’s also nice to have working washing machines and dryers that ACTUALLY clean and dry your clothes. The hostel is a few blocks walk, but close enough to get on the tram back to the city. I think the staff members, both permanent and temporary are the shining stars here. They make sure the hostel runs smoothly, put on events, and bring a lot of smiles to this place. 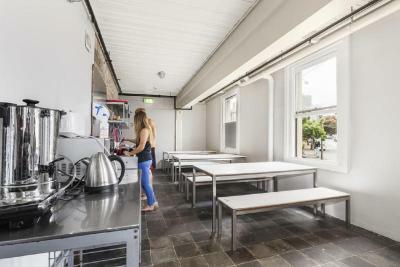 The hostel is huge, so everyone can find both private time and space to meet up with friends. Ignoring that fact that the Summer House is conjoined with Hotel Barkly and the Rooftop Club for a moment, the hostel itself offers a free drink card, has free breakfast, pancakes on Sunday, nightly events, job boards, comfortable rooms with attached bathrooms and more. 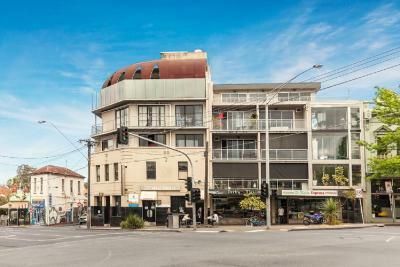 You're also close to St. Kilda's beaches, shopping streets, Luna Park, and Albert Park. Location and people are so nice. It is a lot of fun there. Definitely worth its price! Nice comfy beds, spacey rooms, staff was always happy to help. Free breakfast, free drink at their bar and we even got to enjoy the free bbq on Mondays! Would recommend for a stay bit outside of the city, had a good time seeing St. Kilda as well. Good location for the airport skybus with nice cafes & restaurants nearby. 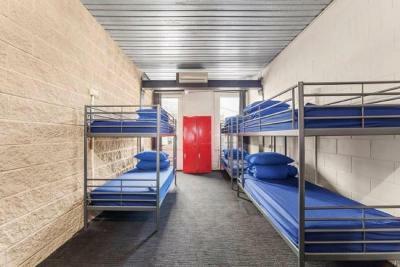 Located in St Kilda, Summer House Melbourne Backpackers offers both dormitory and private rooms. 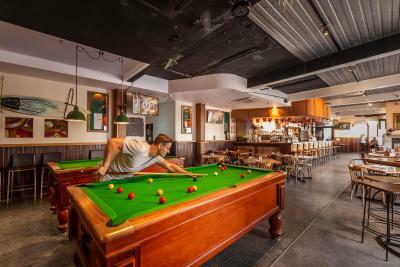 There is an on-site bar and restaurant with billiards, a shared lounge area and a rooftop terrace. Free continental breakfast is provided each morning and on Sundays, free pancakes are included. The renovated dormitory rooms, each have a private private bathroom, individual lockers and power points next to each bed. The private rooms have their own TV and a refrigerator. They also have an private bathroom, complete with a walk-in shower. Free WiFi is available in all areas. 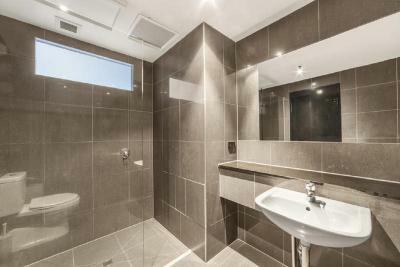 Summer House Melbourne Backpackers is conveniently located in the heart of St Kilda close to tram, train and bus stops. It is also central to the bustling Acland Street, Luna Park and the Esplanade. 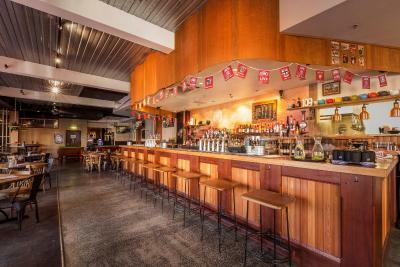 The refurbished Hotel Barkly public bar is home to some great entertainment including trivia nights and food and drink specials throughout the week. 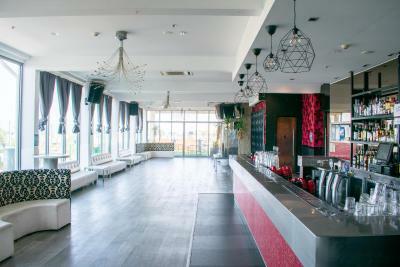 There are Summer Sunday Sessions with live music/DJs on the beautiful rooftop, overlooking St Kilda. Make sure to ask at reception for details on the night's entertainment. When would you like to stay at Summer House Melbourne Backpackers? Guests have access to shared bathroom facilities within the dormitory room. Spacious twin room with tea/coffee making facilities, air conditioning, heating and Wi-Fi internet access. House Rules Summer House Melbourne Backpackers takes special requests – add in the next step! A AUD20 damage deposit is required on arrival (around USD14.30). This deposit will be fully refunded at check-out, as long as there isn't any damage to the property. Summer House Melbourne Backpackers accepts these cards and reserves the right to temporarily hold an amount prior to arrival. Please note that the private rooms are located below the rooftop bar. Elevated noise levels are to be expected over the weekends. The rooftop common area may be closed during functions. For more information, please contact the property using the contact details found on the booking confirmation. Guests are required to show valid photo ID (passport or driver's license) upon check-in. Please note balconies cannot be accessed at this property. Please note, the property can not cater for groups larger than 8. They also can not guarantee groups will be in the same room. Please inform Summer House Melbourne Backpackers of your expected arrival time in advance. You can use the Special Requests box when booking, or contact the property directly using the contact details in your confirmation. A damage deposit of AUD 20 is required on arrival. That's about 14.30USD. This will be collected as a cash payment. You should be reimbursed on check-out. Your deposit will be refunded in full, in cash, subject to an inspection of the property. Only one communal toilet for entire property. And no emergency evacuation plans posted in public places. The kitchen was a disaster. The carpets in the room smelt horrible. The balcony was always locked. Only en-suite bathrooms, so people will get mad at you if you take longer than 10 minutes in the bathroom to get ready. Many long term residents so hard to befriend people. The beds were surprisingly very comfy. Kitchen is dirty and crowded. Breakfast is at 8 o'clock, quite late. Hope they can open at seven somehow. Worst hostel I´ve ever been in my life. Staff unfriendly, does not care at all if you have a problem. The room was nasty.Just nasty + disgusting. I had chewing gum on my bed. I told them to remove it first day. They never did. there were also several chewing gums pressed into the walls. The bathroom is a total fake. Pictures lie. Toilet lacked + stinked very badly. If you shower, all the water sprinkles on the toilet and you actually floot the bathroom too, because the settings of the tubs are just stupid. They were not thinking building it. It was super dirty. The cleaners do not clean, just come to mop but acutally wipe/repart the dirtyness only even more. We complained, staff did not care. 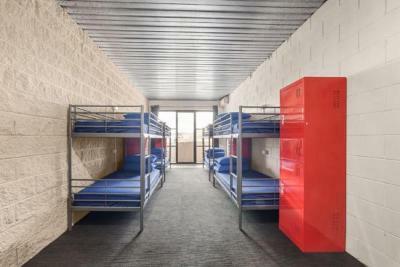 The pictures on the hostel profile lie. That cool rooftop bar is mostly never open on the weekends, they just open it for events. On the picture it looks like this was a welcoming lively place, and actually like the main bar area of the hostel to hang out, but acutally it wasnt. Well the bathrooms were disgusting, I already told you. Lets start with this group kitchen. just the same. it wasnt clean. and this announced breakfast ist just cheap toast bread with marmelade. but believe me, you actually prefer to eat somewhere else and not eat there, as it is dirty. health concerns! I didnt trusted the silverware or plates. Im not crazy. We stayed in a room for 6. They could easily hang up some mirrows so that several people could get ready same time. but there was only the moisted bathroom which never actually dried out so that you could use the mirrow. the worst of all this, i think is that the staff was that unfriendly. the organizers+cleaners coming just stepped in our room never said"hi" anyth! (headphones in ear).disrespectful! I think this is1of the worst gestures you can give your guests. The people already have to stay in such a shiddy dirty nasty place, reduce all their comforts and the little privacy in the room is not respected by tha staff. Room was messy. Bathroom so dirty. Nobody care or clean it. On my arrival day, i saw a Glas of Cocktail next to the toilette. After 3 days its still there. Thats mean,they never clean the bathroom. AC was not working at all. It was just horrible and warm inside the dorm. Too expensive! And never ever again!!! The party till 3 am on the floor above us on the Friday night and the non-stop music the following night. Don’t stay here unless you want to party all night or you have very good ear plugs!! it’s basically a night club with a few rooms attached. They really should warn guests in advance that you will get no sleep if you stay here, then at least you will know what you are in for. There was nothing to like apart from the fact that we could check out after three bad night’s sleep ! Maybe at least one healthier option for breakfast then bread and spreads. It was okay for a hostel breakfast but that would be perfect. The staff was really nice, helpful and friendly! Wifi was really fast, didn’t expect that! The hostel is located very close to the beach and Arcland Street. The en-suite bathroom was cleaned regularly and the wifi was really good! The staff was nice and as a guest of the hostel you get some beers a little cheaper at the bar downstairs. Evertyhing is dirty!! The kitchen is so small and so dirty!!! The roof top was close.. there is no place to study/work. The bathroom are never clean! Only the location, because its close to the beach. Good location: close to everything. Nice bar, OK private rooms. Very kind receptionists.